Hey Ya'll!! My little girl just turned 4!! How in the heck did that happen?? 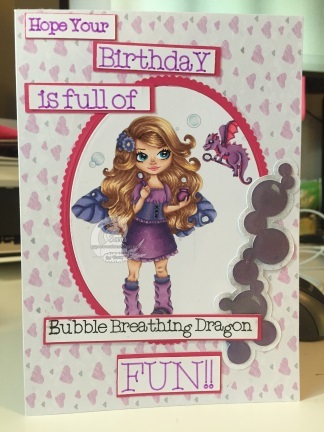 And all she wanted for her birthday was Dragons. Yup, Dragons. 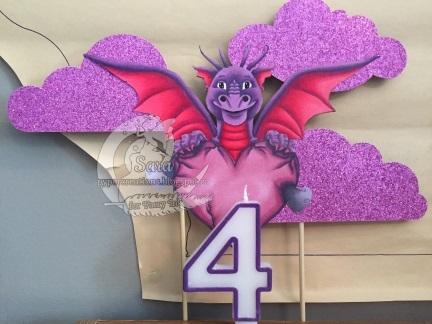 Do you know how hard it is to find dragon party themed supplies? That's not related to some show or movie? Like impossible!! Or if you do find them it costs more than the supplies to ship it!! So Mommy had to do some work for this little ones party!! I started with the invitations. 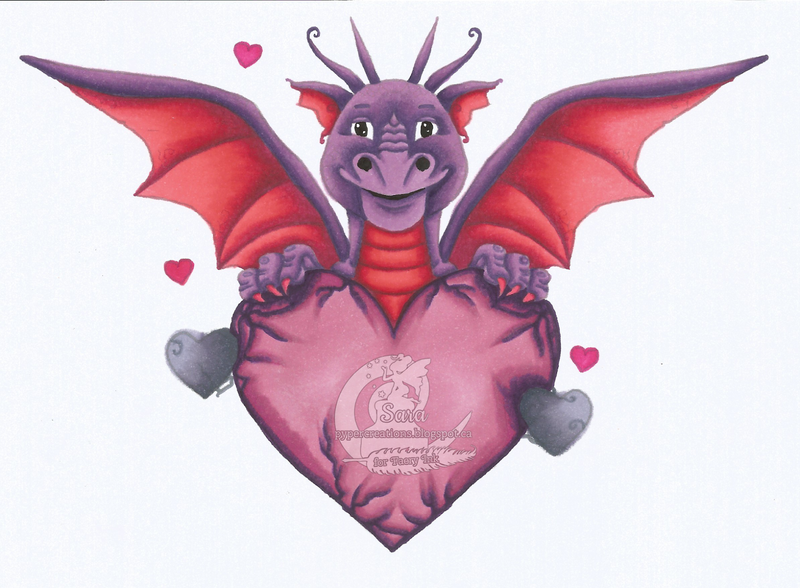 Her favorite color is purple and she also likes pink so.... we colored Faery Inks Dragon Heart digi in purple and pink and got to work! I used the very last of my CTMH Gypsy paper to create all her supplies which sadly I think is a discontinued color now <tears>. The pattern paper is a digital paper from Julia Spiri. The rest I designed in Microsoft Word and Viola! 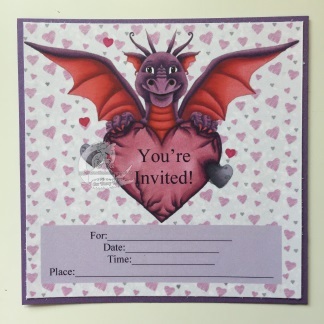 Super cute dragon themed girlie invitations! While I was in Microsoft Word I designed the cupcake picks as well. I used the same digital papers and CTMH cardstock to mount them. And again I think they turned out sooo cute!! I can't wait to get them on cupcakes!! 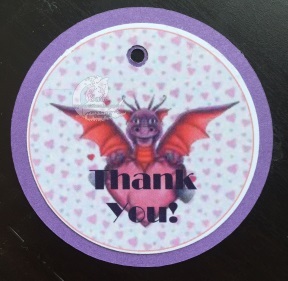 Then I used the same idea to make tags for the favor bags! I am so in love with how these turned out!! Just super cute!! 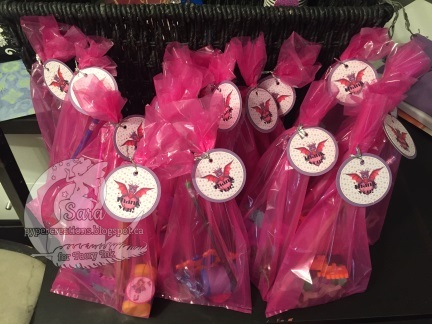 I love the pink bags with the favor tags!! It has just the touch of pink to everything like I was hoping for! I used the same touch of pink in her birthday banner as well! The banner is a free file from Dreaming Tree and I love it!! It gave her banner just a touch of medieval flare without going there entirely! I could not be happier with how this turned out and I know she will be thrilled!! 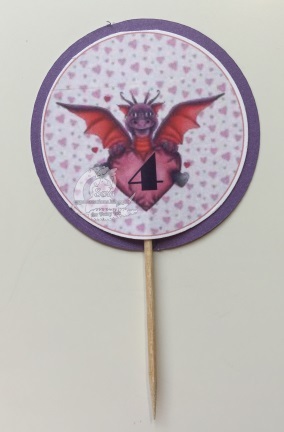 Next is the cake topper! I used just a piece of white cardstock for the back and created a base layer in Cricut Design space. 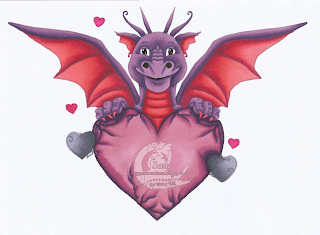 Then I added the sparkly clouds and topped it with Faery Inks Dragon Heart again. 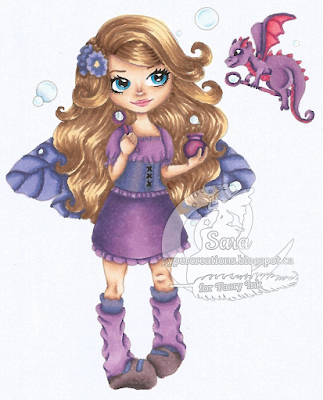 I loved this Faery Ink Bella Bubble Fae for adding bubbles to the favor bags. I could not find the style of bubbles I wanted so we improvised in Microsoft word again and re-made the labels on the bubble bottles!! I cannot begin to tell you how cute there are in person!! So sweet!!! Then I used Bella and her sweet little dragon for her birthday card too!! Its sweet and simple and perfect for my little one!! 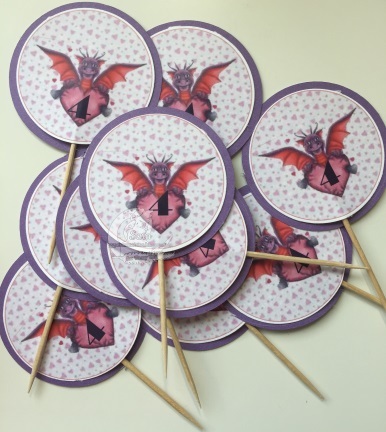 Lastly... was some more party favors... did I mention how hard it was to find dragon party favors?? Seriously though!! I couldn't find stickers or anything!! The only thing I managed to find was little Dragon figures at our local michaels... thank god!! 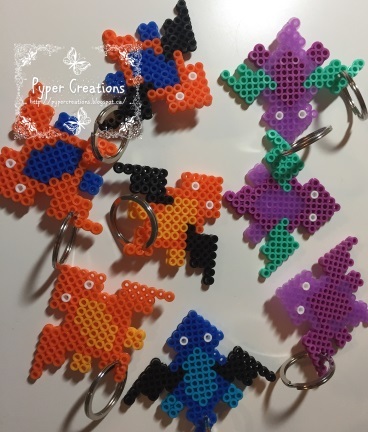 So instead of trying to order on line or not have any at all I used up some Perler Beads that are just sitting in the closet and made Dragon key chains. I found some patterns for dragons on Pinterest and had to modify them slightly to fit the Perler peg board we already have. The girls love playing with theirs and it used up like half that barely touched container of beads so I'm a happy momma!!! Thanks for popping in today!! 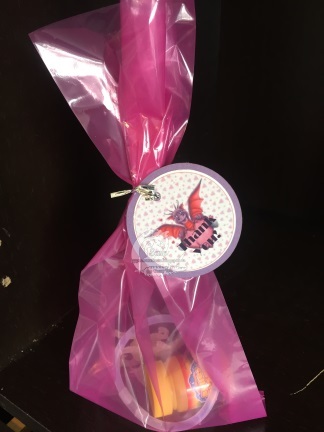 I promise to update this post as soon as the party has actually happened and I have real cupcakes and cakes ect to show you!! Have a great day! !